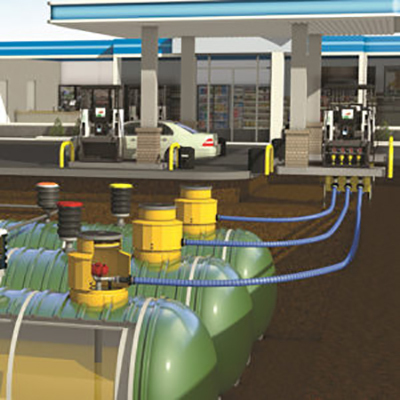 The patented OPW Loop System™, represents the state of the art in a completely integrated, environmentally secure underground fuel delivery system. The system, by design, employs pre-fabricated, factory assembled components, translating into dramatically less field labor and lower associated cost and potential for installation errors. 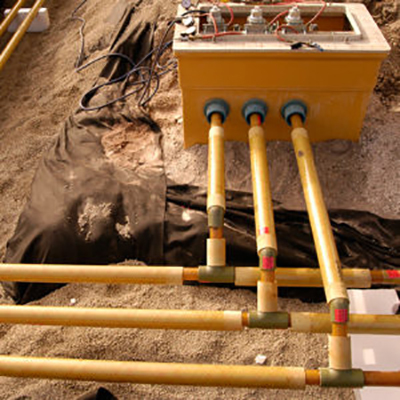 The installed product preserves total underground access to all piping connections, piping runs and containment sumps for hassle-free inspection, maintenance or repair without ever having to excavate or even remove a dispenser. The Loop System™ incorporates field-proven OPW technology into a simplified, completely integrated piping system design that facilitates easy inspection, identification and repair of any problem that may develop and enhances the capability for leak prevention. 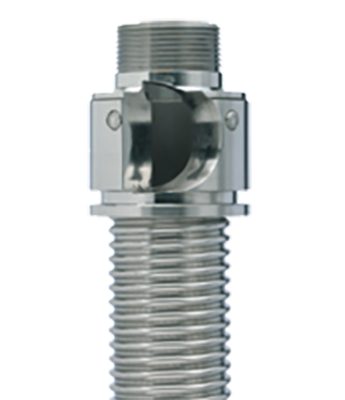 BRUGG Pipesystems has changed the way fuel piping is installed in floating dock marinas. 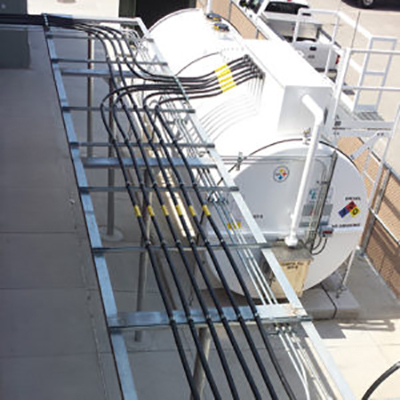 Using our FLEXWELL-HL double wall stainless steel pipe, we eliminated any connections above water. In many cases, pipe runs are “home runs” from tank to dispenser. To achieve this leading approach in marina fuel piping, BRUGG utilizes the inherent flexibility of the pipe to compensate for the tidal change that occurs in floating dock marinas. Through several unique designs, BRUGG has designed and installed systems with tides up to 17 feet. SECON-X is a competitively priced, double-wall, UL/ULC approved pipe consisting of a seamless, helically corrugated stainless steel primary pipe and a PE/PA composite secondary pipe. As a double-wall pipe its primary use is for petroleum products and hazardous chemicals that require monitoring of the interstitial space for leak protection. 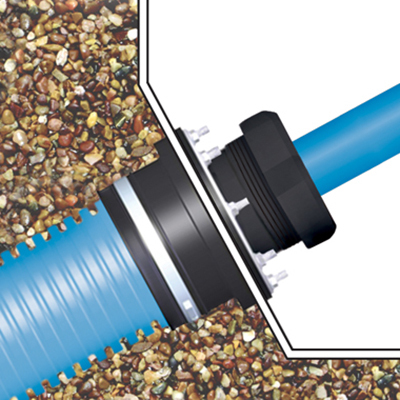 The SECON-X pipe is UV protected, which makes it also an ideal above ground or combination of below/above group pipe without requiring a transition sump. 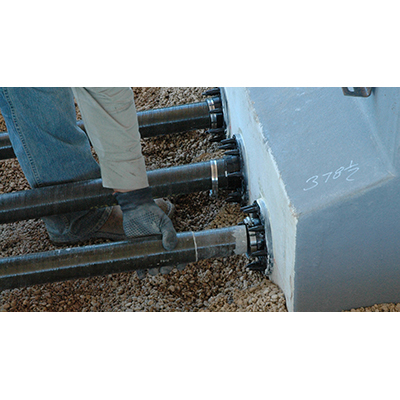 The pipe is easy to handle and install and environmentally safe. 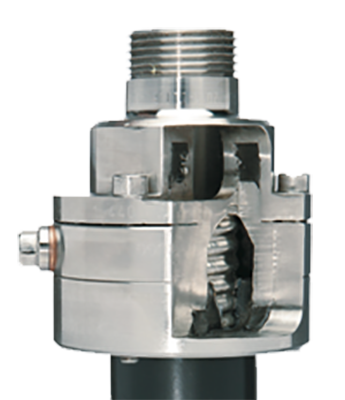 It is manufactured in “endless” lengths, which eliminates connections (potential leak points) between beginning and end. 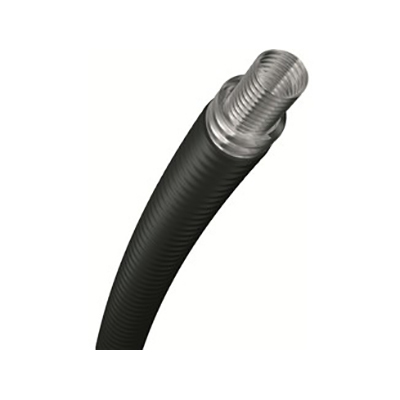 NIROFLEX is a moderately priced, single-wall carrier pipe made of seamless, helically corrugated stainless steel with a PE jacket. 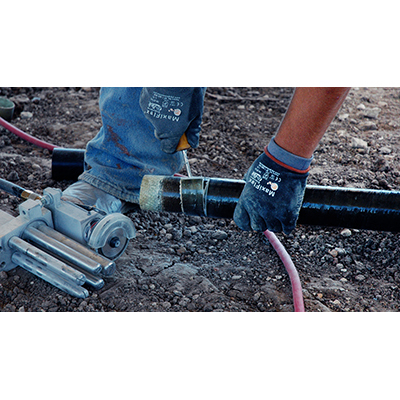 One of the primary uses of this pipe is DEF and other below ground applications, where UL approval is not required. 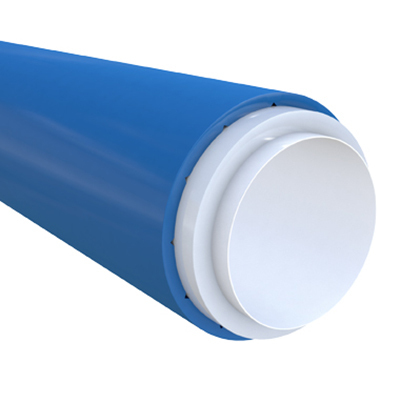 the fact that the PE jacket is UV protected makes this pipe also ideal for above ground installations. This pipe is easy to handle and install. 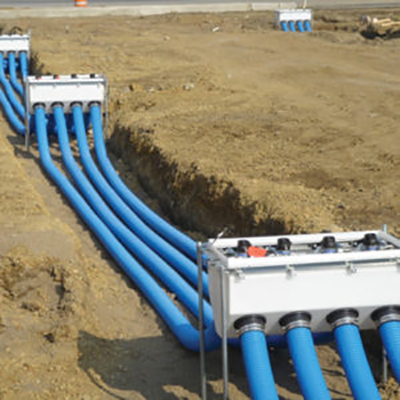 It is manufactured in “endless” lengths, which eliminates connections (potential leak points) between beginning and end.